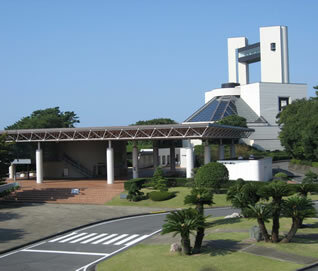 The 7th Annual Conference, hosted by Japan Society of Maintenology (JSM) was held from July 13 through 15, 2010 at Omaezaki Civic Hall and Hamaoka Nuclear Exhibition Center in Omaezaki-city, Shizuoka. 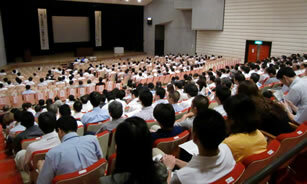 The conference was co-hosted by Shizuoka University, COE for Education and Research of Micro-Nano Mechatronics, Nagoya University Global COE Program and Chubu Electric Power Co., Inc.
During the conference, about 900 participants including the locals discussed the nuclear energy not only from technical aspects but also from social aspects. 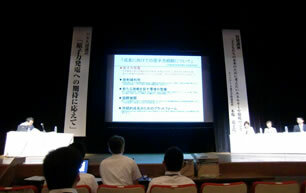 The conference was successful and certainly helped the locals understand better about the nuclear safety. The program consisted of the special lecture, the panel discussion, and the general lectures. As for the details, please refer to the following paragraphs. Special lecture : "The Energy and the Environment for Children’s Future"
The topics such as the global warming, the self-sufficiency of energy supply, the soaring prices of resources, the huge energy consumption in developing countries, the changes in population were presented. Roles the nuclear power should play to solve the problems regarding to the energy security and the global warming were also discussed. Ms. Kiba introduced many useful approaches which can be easily done at home to realize a low-carbon society. Panel discussion : "To Meet the Expectation Toward the Nuclear Power"
It was reconfirmed that the maintenance activities in the nuclear power plants (NPPs) promote the local economic activity through employment and make the environment more comfortable by reducing carbon dioxide due to the improvement of the availability. The improvement of the availability is resulted from the continuous upgrading of the maintenance systems and the safe operations of NPPs. The JSM should play an important role for the availability improvement. Fig.3 The panel discussion "To Meet the Expectation Toward the Nuclear Power"